Which tumble dryer brand to buy in 2019 - Which? Exclusive Which? reliability and customer satisfaction data can help you choose a tumble dryer brand that lasts. We survey owners of Beko, Bosch, Miele and White Knight tumble dryers to find out which develop the least faults over time, and which brands customers are happiest with and would recommend. 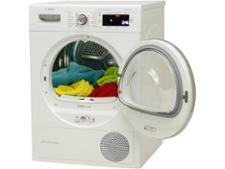 Which tumble dryer brand stays fault free for longest? Problems with the sensor are the main reliability issue for tumble dryers, accounting for 17% of all faults. This means that clothes can come out still wet, or they’re stiff and over-dried. Door faults are also common: 13% of reported issues concern broken door locks, hinges, handle or seal – all of which could render your tumble dryer unusable until it's fixed. Knowing which brands develop the most faults and how quickly is vital when you’re buying a new tumble dryer. That’s why each year we ask nearly 3,000 Which? members to tell us whether they're happy, or have experienced problems, with their tumble dryers in our unique reliability and customer satisfaction survey. Our survey data takes into account the reported fault rates, severity of these faults and the speed with which they occurred. In our latest analysis, we've looked at the performance of the biggest tumble dryer manufacturers – including Beko, Bosch, Miele and White Knight – and have calculated a reliability rating and customer score for each so you know which brands to choose and which to avoid. We’ve found huge differences between the most and least reliable tumble dryer brands, as well as how much real-life users are satisfied with their tumble dryer. The table below summarises this year’s reliability results. Brands are ranked by their customer score, which relates to whether their customers would recommend it. The higher the percentage score for reliability, the fewer the problems reported. In the table below, only logged-in members can view which brands are the most and least reliable, and which ones members are most satisfied with. If you're not yet a member, join Which? to get instant access. The above data is based on a survey conducted on 2,850 Which? members September-October 2018. Most tumble dryers on the market now have a sensor inside the drum, designed to measure the humidity and stop the machine automatically when the clothes are dry. However, a faulty sensor is one of the most common reasons for a tumble dryer not working as it should. Wiping the sensors bars (found either inside the drum or next to the lint filter) clean regularly can help to keep them working well, although if they break down irreparably they will need to be replaced. You might expect that cheaper tumble dryer brands to fall down on reliability, but our survey shows that this isn’t always the case. Two brands with tumble dryers that cost, on average, £300 or less are in the top four most reliable brands. This proves that you don’t always need to shell out for a reliable tumble dryer. Which tumble dryer brand stays fault-free for longest? The graph above shows how the brand that stays fault-free for the longest compares with the worst brand and the overall average. Which? members can see how brands compare for faults over an eight-year period in the table below. Results based on feedback from more than 2,580 tumble dryer owners, surveyed in September/October 2018. Minor A fault that doesn't affect the product's performance significantly, or a fault that only occurs occasionally with minimal impact. This issue may be irritating or annoying, but it isn't frequently problematic and you can easily work around it. For example, a blocked filter that you can easily clean yourself. Major A fault that has a noticeable effect on the product’s performance. This fault affects how you use the product and can be problematic. For example, the sensor not working properly, affecting the quality of drying. Catastrophic A fault that renders the product unusable, with the fault needing to be repaired or parts replaced before it can be used again. 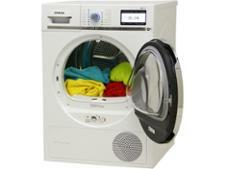 For example, the heater breaking, meaning that the machine can no longer get your clothes dry. Choose a brand from the list below to find out more about how good it is, including the number of Best Buys it’s received and the average score of its tumble dryers in our reviews. Only logged in members can view the hidden results in the tables below. If you’re not yet a member, join Which? to get instant access. Table notes Average test score based on results of models tested in the past three years (as of 1 November 2018). 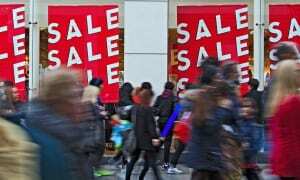 The customer score and brand reliability rating are based on a Which? member survey conducted in July 2018 of 241 Beko tumble dryer owners. The customer score is based on whether members would recommend the brand to a friend, and reliability is based on members’ experience of that brand. Table last updated December 2018. 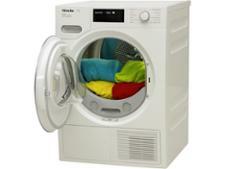 Find out if cheaper Beko tumble dryers are more or less reliable than pricier brands such as Miele and Samsung. See how Beko owners rate their tumble dryers. Table notes Average test score based on results of models tested in the past three years (as of 1 November 2018) that are still available. The customer score and brand reliability rating are based on a Which? member survey conducted in September-October 2018 of 728 Bosch tumble dryer owners. The customer score is based on whether members would recommend the brand to a friend, and reliability is based on members’ experience of that brand. Table last updated December 2018. Find out how likely a Bosch tumble dryer is to develop a fault. See how Bosch tumble dryers perform in our tests and how many earn our coveted Best Buy recommendation. Table notes Average test score based on results of models tested in the past three years (as of 1 November 2018) that are still available. The customer score and brand reliability rating are based on a Which? member survey conducted in July 2018 of 141 Indesit tumble dryer owners. The customer score is based on whether members would recommend the brand to a friend, and reliability is based on members’ experience of that brand. Table last updated December 2018. Discover how Indesit dryers compare with rival tumble dryers from brands such as Beko, Bosch and Miele. Find out if Indesit tumble dryers are worth buying by seeing results from our expert testing. Table notes Average test score based on results of models tested in the past three years (as of 1 November 2018) that are still available. The customer score and brand reliability rating are based on a Which? member survey conducted in September-October 2018 of 104 John Lewis tumble dryer owners. The customer score is based on whether members would recommend the brand to a friend, and reliability is based on members’ experience of that brand. Table last updated December 2018. See our unique data on how reliable John Lewis tumble dryers are, and how likely they are to experience a fault. Find out how John Lewis customers rate their tumble dryers and whether you should buy one. Table notes Average test score based on results of models tested in the past three years (as of 1 November 2018) that are still available. The customer score and brand reliability rating are based on a Which? member survey conducted in September-October 2018 of 261 Miele tumble dryer owners. The customer score is based on whether members would recommend the brand to a friend, and reliability is based on members’ experience of that brand. Table last updated December 2018. Are Miele tumble dryers worth the money? Find out if this expensive brand is one you can rely on with our exclusive reliability data. See how Miele owners really feel about their tumble dryers. Table notes Average test score based on results of models tested in the past three years (as of 1 November 2018) that are still available. The customer score and brand reliability rating are based on a Which? member survey conducted in September-October 2018 of 174 tumble dryer owners. The customer score is based on whether members would recommend the brand to a friend, and reliability is based on members’ experience of that brand. Table last updated December 2018. See how White Knight tumble dryers perform in our tests and whether owners are happy with their tumble dryer. 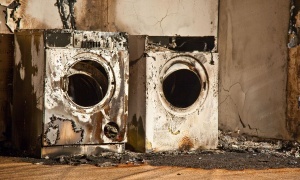 Exclusive reliability data reveals how likely White Knight tumble dryers are to break down. Which? 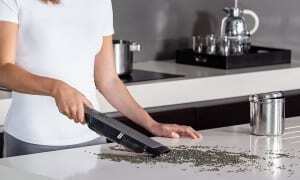 has a wealth of information on the UK’s favourite home appliance brands. Every year, we ask Which? members to tell us about the home appliances they own - from how likely they would be to recommend a brand, to how reliable the products are once they get them home. This year, almost 10,000 members told us about more than 34,000 devices. We calculate a brand's reliability and its customer score based on the results of our annual survey. Our reliability surveys, combined with our extensive lab tests, mean we can recommend the best tumble dryer you should buy. This data is crucial for our testing, too. If a brand falls far below the category average, we take away the manufacturer’s Best Buy recommendations and won’t recommend any of its products unless a marked improvement in reliability is shown.